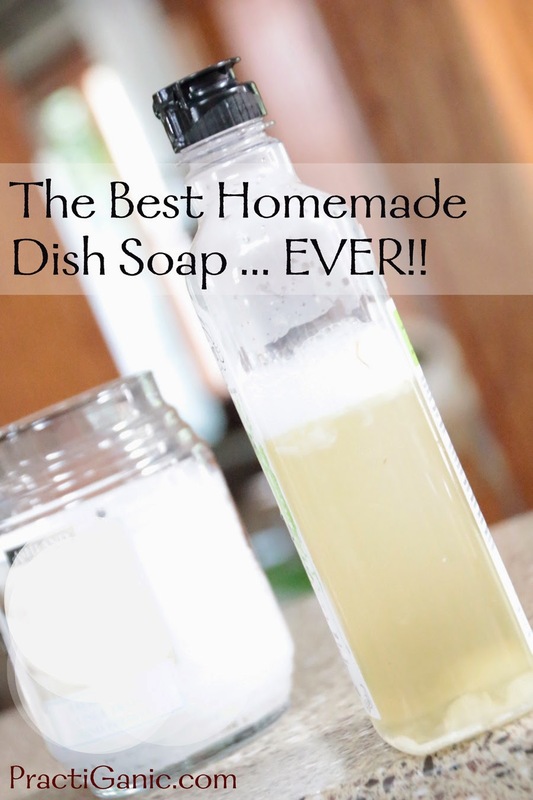 I have been making my own dish soap for a few months now. I have noticed that I go through it really fast so I have been making it way too often. It was basically the consistency of liquid castile soap so it would come out really fast and I would end up using twice as much. It made me think twice. Is this really beneficial to make it myself or not? I decided before I gave up completely, I would do a little research and go back to the drawing board. I found an article on Mommypotamus. She tested lots of different soaps and found one that works. It uses washing soda which I have never used before, but that is the mystery thickening agent. I was super excited to try it. The glycerin is there to keep it from separating. The first few times I made the new recipe, I was amazed at how it thickened ... actually, it got a little too thick so I had to keep adjusting the amounts to work for me. 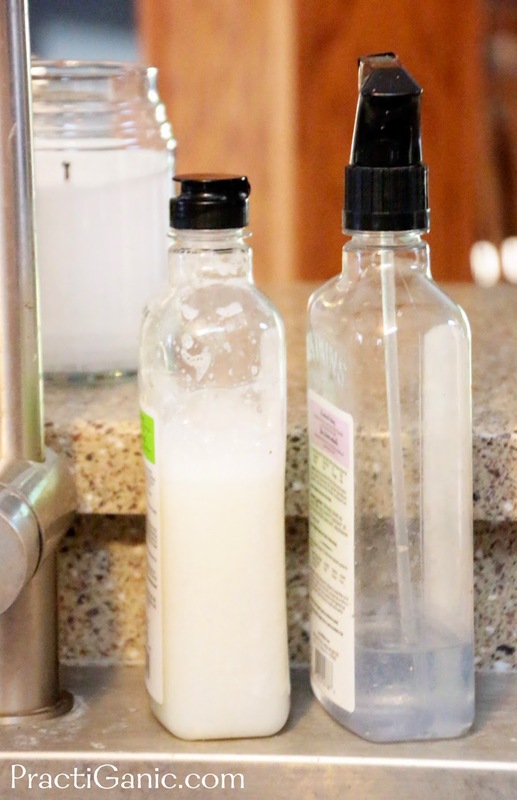 If you look at the first picture I have, it shows the soap being more liquid and the picture below it shows it getting a thick white consistency. It's really amazing! Don't forget to check out more of my natural cleaner recipes! Mix water and grated bar soap in a pot. Bring it to boil and mix it until the bar soap has completely mixed in. Meanwhile, add your liquid castile soap, washing soda, vegetable glycerin and essential oils to your container. Once your water and bar soap has completely mixed, add it to the remaining ingredients. Mix well. Here's the important part ... wait! In about 24 hours, the soap will thicken up and it will be ready to use. I will occasionally shake it up to keep everything mixing well. If it gets too thick add a little more water and if it's too thin, add more washing soda (1/2 t at a time).